“Tradition” is how we must live our lives! Tzeitel worries about the kind of man Yente the matchmaker will bring. Yente delivers news of a match for Golde’s eldest daughter. Golde insists that Tevye speak to Lazar Wolf. Tevye, Golde and their five daughters. Tevye’s family begins Sabbath with two special visitors. Tevye and Lazar Wolf drink “L'Chaim” to life! In a show of solidarity, Fyedka asks Tevye to join him in a Russian dance. 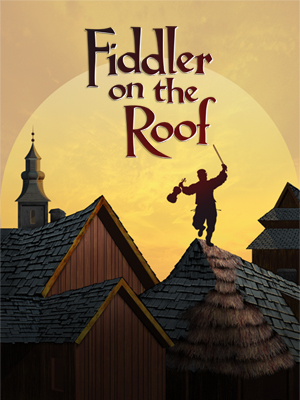 Tevye considers breaking tradition and allowing Motel to marry his daughter, Tzeitel. Tzeitel and Motel are to be wed with Tevye’s blessing. Perchik tells Hodel he must leave Anatevka. Golde reassures Tevye that after 25 years, she supposes she loves him.